No Data – No Fee Guarantee! free drive diagnostic, and a guaranteed quote for your recovery. Let Us Get Your Files Back - Fast! If you’ve lost important files, we can help you get them back. 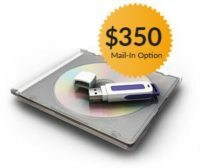 Data Recovery Recover lost data from broken computers & hard drives. Data Migration Transfer files, settings & favorites from an old PC to a new one. Dead Computers & USB Drives Retrieve files from drives or computers that no longer turn on. Deleted Files Get back accidentally deleted files from a computer, drive or device. Corrupted Files / Windows Errors Blue Screen, Virus, Spyware, or Malware related data loss. Catastrophic Failure Drives found after floods, fires, tornadoes, crashes, etc. Physically Damaged Banged, crushed, dropped, cleaved & impaled drives. Electronic FailureOccurs when a drive’s electrical circuits have failed. Mechanical Failure Occurs when internal parts fail to move properly. Next, your recovery will be categorized into one of three categories. 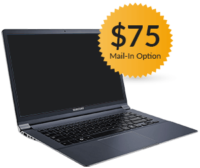 Used for drives without physical damage, when data is inaccessible, or corrupted. Laptops that will not turn on. Desktops that will not turn on. Data stuck on an old, or broken PC. Data lost to viruses, or Windows errors. This category repairs file corruptions on hard drives, and recovers data from damaged flash media & portable devices. Broken USB drives & SD cards. Corrupted office documents or images. 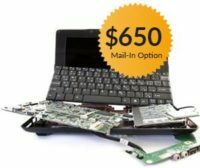 Damaged cell phones & tablets. This category is for recoveries that require physical drive repair. To keep your data safe, a drive must be opened and repaired inside a Class 100 Data Recovery Clean Room. Crushed, cleaved, or mangled drives. Drives with fire, heat, or liquid damage. Damage from lightning, or power surges. or if you live in northern NJ, we can come to you.